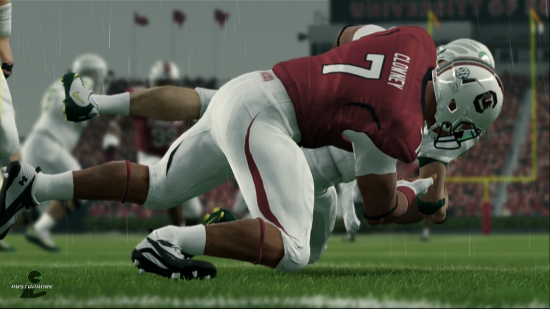 A class action lawsuit filed by former college athletes against the NCAA and Electronic Arts [ERTS 21.34 0.13 (+0.61%) ] could take a huge bite out of the video game maker’s revenues, should the athletes win the case. A California District Court judge recently denied Electronic Arts’ motion to dismiss the combined case filed by former Nebraska and Arizona State quarterback Sam Keller and former UCLA basketball player Ed O’Bannon. 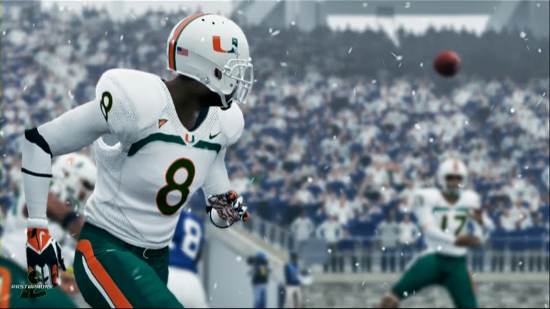 The case centers on whether licensees like EA unlawfully used athletes’ likenesses without their consent. The case is already two years old and there’s plenty more to go, but if the judge eventually rules that EA did in fact violate the players’ intellectual property rights, there could be huge financial damages. EA has not specifically disclosed any numbers related to the lawsuit to its shareholders, but the damages they could have to pay might be as much as $1 billion, which equals 25 percent of its annual revenue. EA spokesman David Tinson declined to comment on any details about disclosures related to the case.